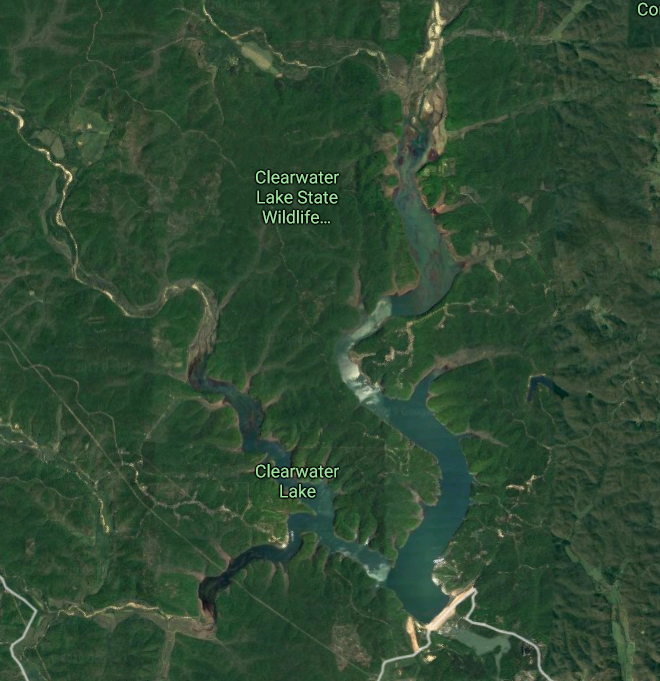 Clearwater Lake is a small 1630 acre reservoir located near the small southeast Missouri town of Piedmont. 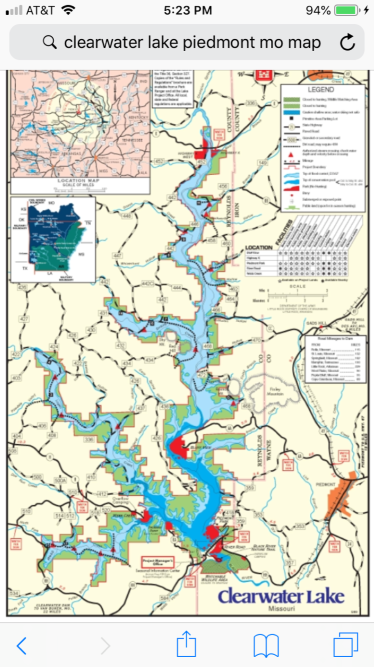 It has the three major bass species as well as crappie, catfish, bluegill and many others. 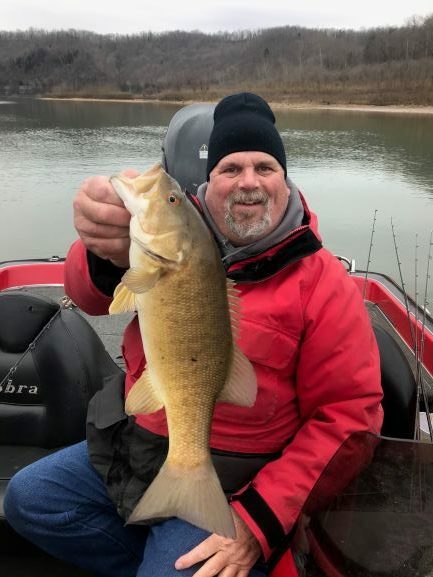 My tournament partner David Ladyman and I arrived on brisk 30° morning to find water temperatures in the low to mid 40’s. 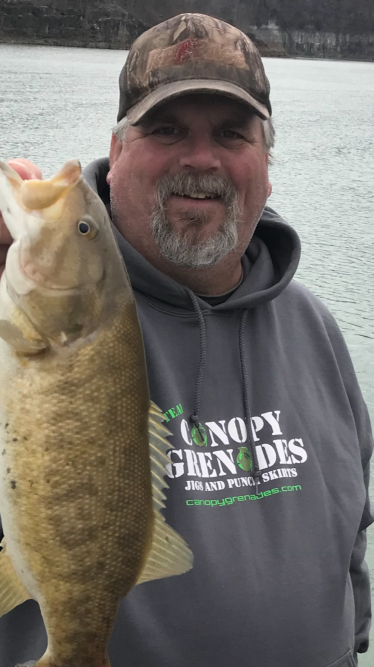 I had only been on the lake once so this was a scouting trip as well as a fun fishing trip. We launched at Piedmont Park as the sun was coming up over the Eastern horizon and made a cold run up the northern arm of the lake. Stopping just past an area known as Bluff View we began throwing rip Baits, we worked our way down past a couple of islands with only a few swirls to show for our efforts. 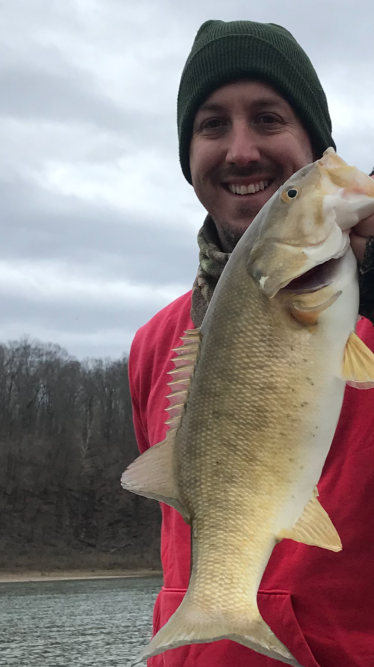 We switched to Jigs and Worms and started picking up some decent fish. 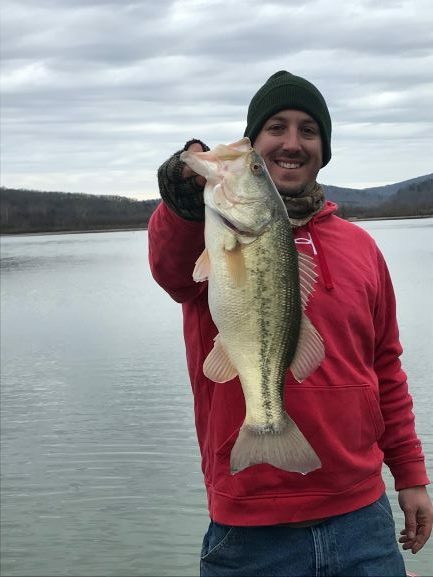 David caught an almost 5 pound largemouth on a Canopy Grenades jig. After a couple of fist pumps and pictures she was released back into the water to find her mate. 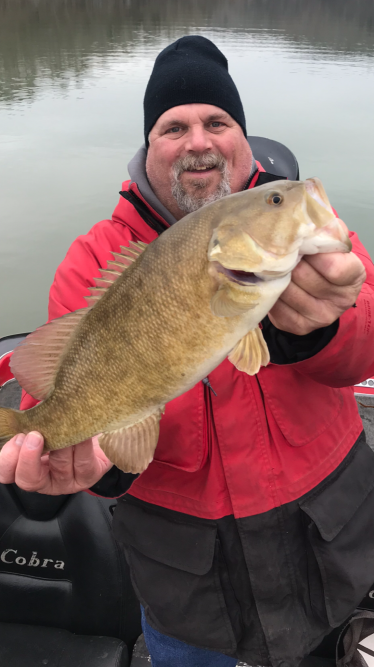 We continued working the Bluff View area and got into some nice smallies between 2.5 – 3 pounds. We decided to do some scouting and ran over to the southern arm of the lake known as the Logan Creek Arm. 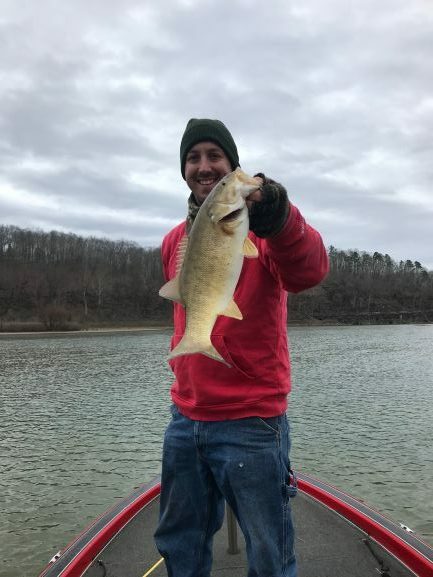 We found smallmouth here as well but not in as a good of numbers as the in the Bluff View Area. 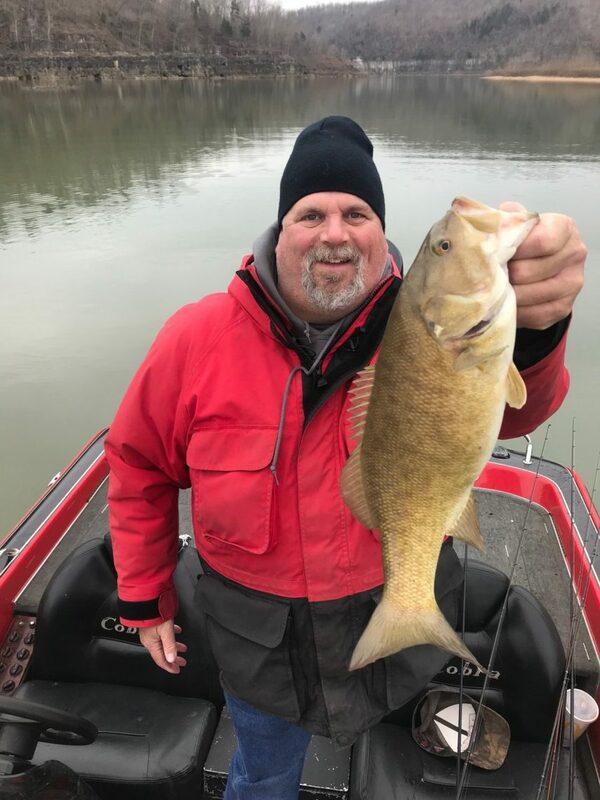 All in all it was a great day for being in the 30’s with over 20 nice smallmouth being caught as well as a nice largemouth. 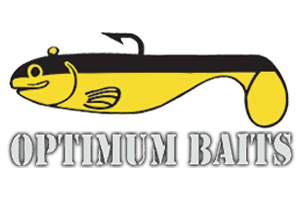 Best Baits were Jigs, Drop-shot Robo Worms, Rage craws and Ima Flit Jerkbaits. 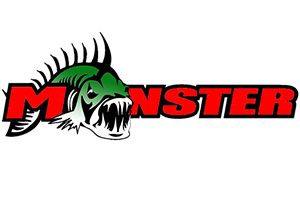 All other Baits can be purchased online by clicking on the Monster Tackle icon at the right side banner on this page.